Give your palates a taste of the world and let your imaginations run wild as sumptuous international dishes are served in a first-class interactive dining setting that is uniquely Spiral. Embark on your own journey of taste. Experience the world at the tip of your tongue. 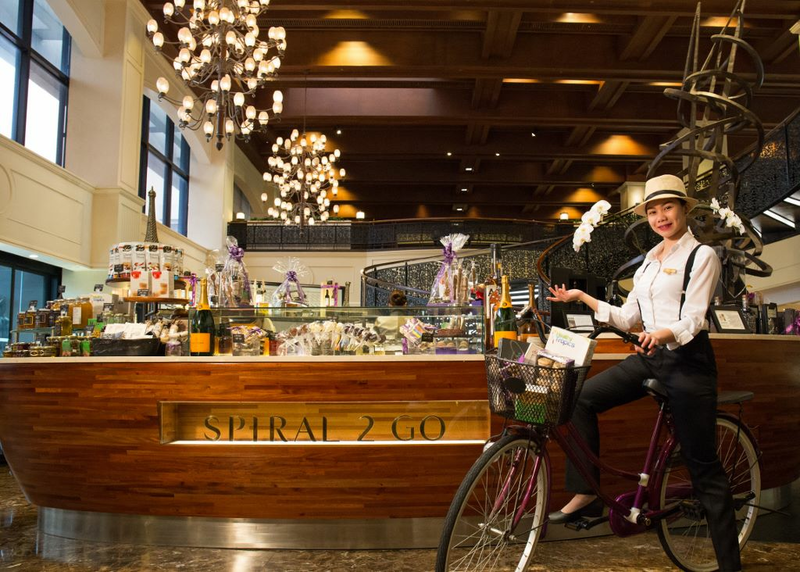 Stir your senses and have a magnifique time at Spiral! The indoor trendy lounge that opens to an outdoor terrace with four gazebos leading to the iconic lagoon shape poolside the hotel is famous for. One could literally watch the sun, the moon and the stars in the sky from the ceiling in the comfort of a glass enclosed lounge. Running down the 21 ways Spiral diners will be dazzled, as one goes from salad and appetizer to l’écailler, sushi and sashimi, l’épicerie, hot Japanese, French stove, rotisserie, wood fired oven, churrasco, North Indian, Asian noodles, peking duck oven, steam basket, Chinese wok, Filipino, Thai, Korean, la boulangerie, la patisserie, chocolaterie and creamery. As the ‘piece de résistance”, the spotlight shines on Sofitel’s French gastronomical roots as showcased in their inimitable French ateliers. La boulangerie boasts freshly made baguettes, croissants and breads of premier quality. 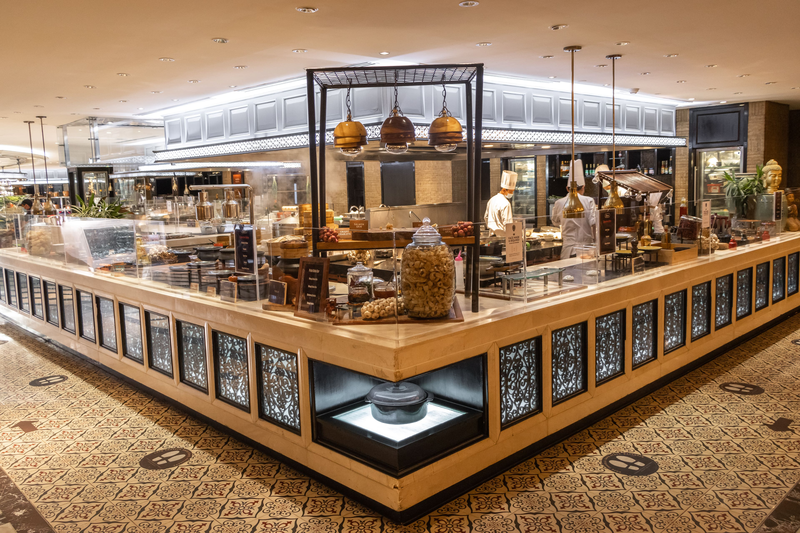 The rich selections at the patisserie and chocolaterie are reminiscent of the famous Salons de Thes in France, where enjoying pastries and sweets with your tea is a centuries-old tradition. 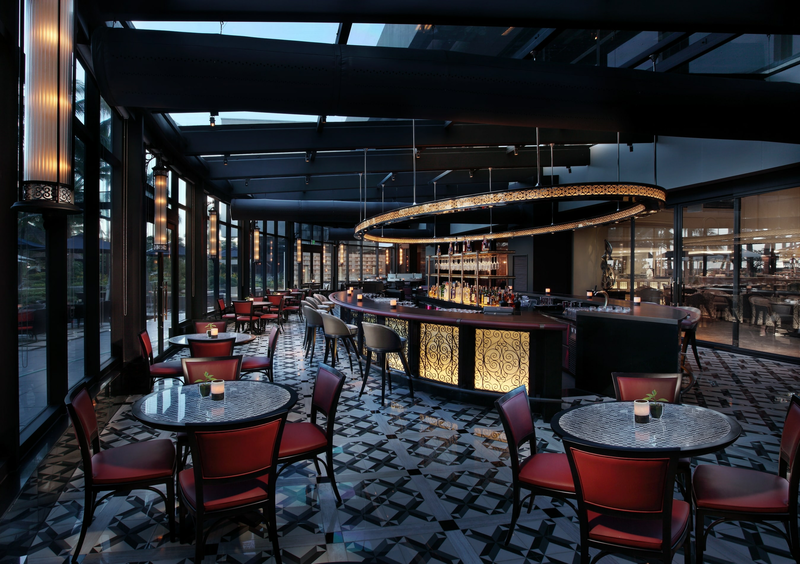 The French oven atelier focuses on dishes cooked in a traditional royal blue Bonnet oven, where you can expect artisanal foie gras, duck confit, stews and other French gourmet staples. L’épicerie offers a wide variety of the best cheese and charcuterie from France, Italy, Germany and Switzerland. Bring home the Spiral experience! Homemade cakes and pralines straight from the chocolaterie. Freshly baked chocolate chip cookies, macaroons, our signature olive bread, strawberry jam and premium marzipans from Germany will also be a delight to take home. Take your favourite premium cheese and charcuterie straight from L’Epicerie to your home.